The research, published in PNAS, showed conclusively that, in three unrelated families, mitochondria from the father's sperm had been passed to the children over several generations. Overturning scientific understanding about this fundamental "truth", opens the possibility for better treatment of mitochondrial disorders, which blight many families with devastating disease. Most of a cell's DNA is contained in its nucleus but mitochondria sit separately inside the cell and have their own DNA. 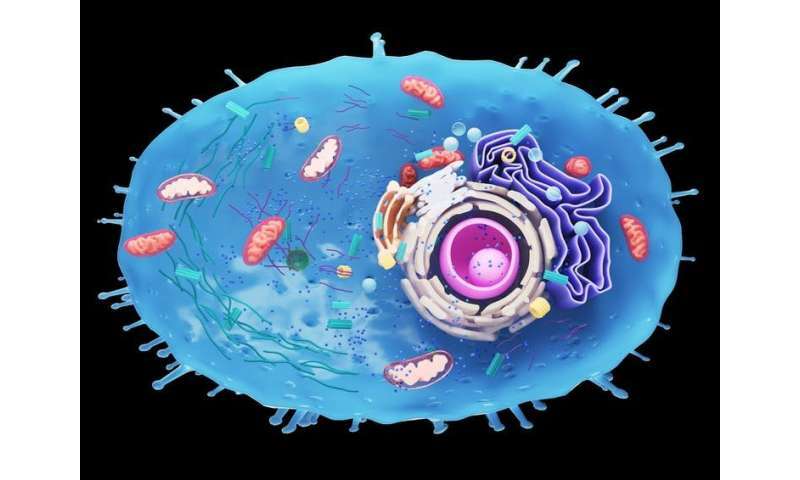 This is because mitochondria are thought to have started as separate organisms, which entered early cells about 1.45 billion years ago and never left. They reproduce themselves and move from one generation to another by "hitching a lift" in the egg. During fertilisation, the father's sperm transfers his DNA into an egg, but few or none of the sperm's mitochondria get in. If any do, then there are mechanisms designed to destroy them. The new research found that, in a small number of families, the mitochondria from the father that found its way into the egg were not destroyed, though we don't yet know enough to say why. There was also some evidence this mitochondrial DNA from the father may have then been copied as the fertilised egg grew into an embryo even more than that from the mother. There's a chance that previous research may have also found examples of mitochondria being passed on from fathers but that these results were discounted and assumed to be the result of sample contamination. But with ever-increasing technological advances, cheaper and more in-depth DNA analysis is possible. So it's likely that more and more cases will now be reported. This work could affect scientists studying the movement of humans around the planet. Human mitochondrial DNA tends to alter very little over time because even tiny changes are often fatal so aren't passed on to future generations. This means a person's mitochondrial DNA is likely to be very similar to that of their distant ancestors and other people from their ethnic group. So by studying mitochondrial DNA in different populations, scientists have also been able to follow how these groups have moved around the world and even to identify a potential common female ancestor for all humans, known as "mitochondrial Eve". All of this work has, however, been based on the "fact" that mitochondria pass down the female line only, something we now know to be wrong. Any treatment would likely be controversial, because it would involve influencing someone's DNA in a way that would be inherited by subsequent generations. But the only other current treatment is equally controversial and involves inserting the nucleus from a fertilised egg into a donor egg containing normal mitochondria. This is often described as producing "three-parent babies" and is not permitted in most countries, although the first such baby was born in April 2016. So manipulating the parent's mitochondria instead may be seen as more preferable. When it comes to our use of mitochondrial DNA to study human evolution and migration, the rarity of the cases identified by the new study means it won't significantly impact our understanding in this area. But if further research suggests that the inheritance of fathers' mitochondrial DNA is more common, our whole understanding of human migration may need to be adjusted.